What Happens at a Hamwic Speakers Meeting? Hamwic Speakers meetings are motivating, inspiring, and fun! Speaking in front of an audience can be nerve-wracking, but we encourage each other to have a good time and enjoy ourselves. Following a fairly typical Toastmasters meeting agenda, Hamwic Speakers meetings are approximately 2 hours long, with a cheeky tea, coffee and juice drink halfway to have a breather and chat with your fellow toastmasters. 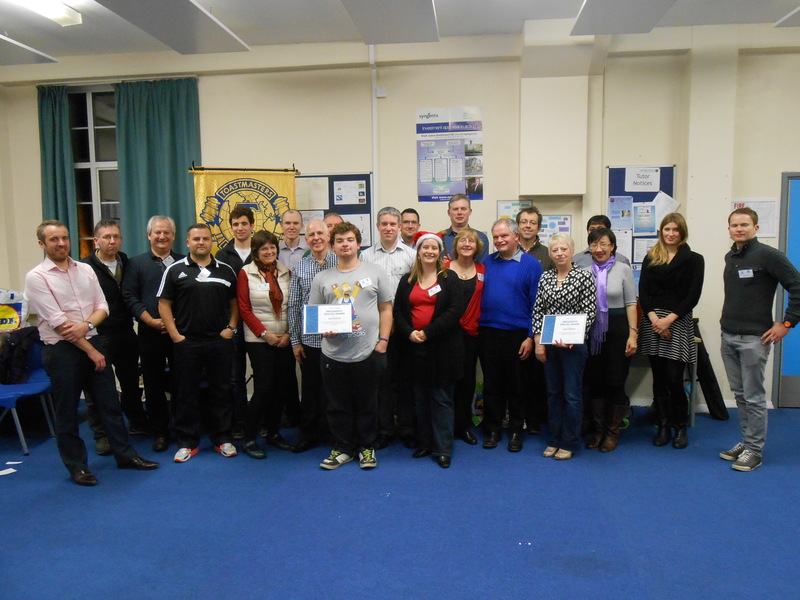 Our meetings include a variety of standard Toastmasters roles, which give you lots of opportunities to develop different skills. Find out more about specific meeting roles at Hamwic Speakers. 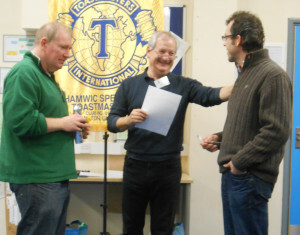 Guests are always welcome to attend our meetings, whether you’re new to Toastmasters or visiting from a different club! We encourage you to please get in touch with us ahead of time so we can be sure to accommodate you. We also have the ‘Warm-up’ section of the meeting where we encourage everyone to participate and contribute. In this section a small simple activity is designed to get people speaking. 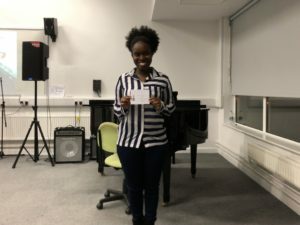 Here the objective is lighthearted vocal warm-up, but you’ll be impressed with the humour and profoundness of some answers given (present example excluded). But do remember you can say ‘Pass‘ at any time and the meeting will move on without hesitation or judgement. It is a supportive learning and participation environment designed to bring out your best, but on your terms. We are a community club with members of all backgrounds, and we are proud of our supportive, inclusive, and welcoming environment! Anyone who does speak when they are invited to do so (however nervous they may feel) will receive warm and generous applause from everyone!